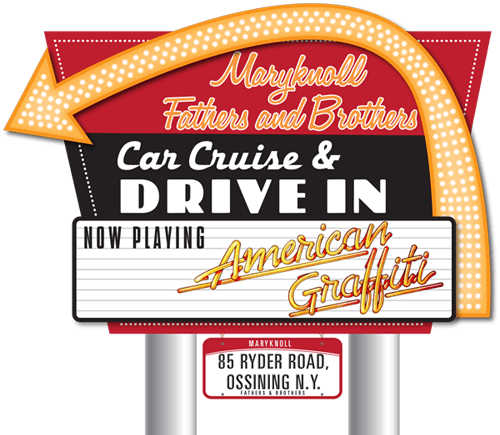 The Maryknoll Fathers and Brothers property will be rocking on the evening of Saturday, Sept. 24, with classic cars and a movie under the stars. 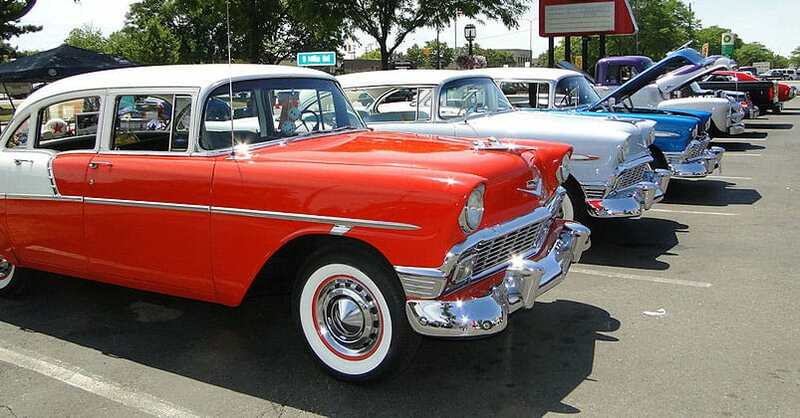 The showcase of classic cars begins at 4pm. Music and entertainment will be provided by Ossining’s DJ Johnny G. The Ossining Police Dept., Ossining Fire Dept. and Ossining Village Ambulance Corps each will participate with displays and a showcase of vintage emergency vehicles. While enjoying the car cruise, all guests can tour our large stone Seminary Building situated prominently atop Sunset Hill and explore the exhibits at the Maryknoll Museum of Living Mission that depicts the 100+ years of mission work of the Maryknoll Fathers and Brothers in Africa, Asia, Latin America and the U.S.
After 7pm, the car cruise parking lot will be converted into a drive-in theater* as we prepare for a nighttime screening of the film classic American Graffiti. With the support of FLIK Hospitality Group, Mel’s Diner will be re-created to offer burgers, shakes, egg creams, popcorn, ice cream and other selections. Classic car owners can fill their orders via car-hop waitresses who will deliver the orders to your car! And, rumor has it that a special appearance that recreates a few compelling scenes from American Graffiti is anticipated by a certain “mystery blond” in her 1956 T Bird. View Maps and Directions to the historic property of the Maryknoll Fathers and Brothers! Mission isn’t just for professional missioners. It’s for everybody. You were called by God in Baptism to be a messenger of God’s presence in the world.